A couple of months ago, I ran out of coffee on Friday and didn’t get a chance to head into the city to purchase a special care package from Ristretto in Howard Street. So in desperation, I took a chance and went to the local deli to try to find something. And find something I did. 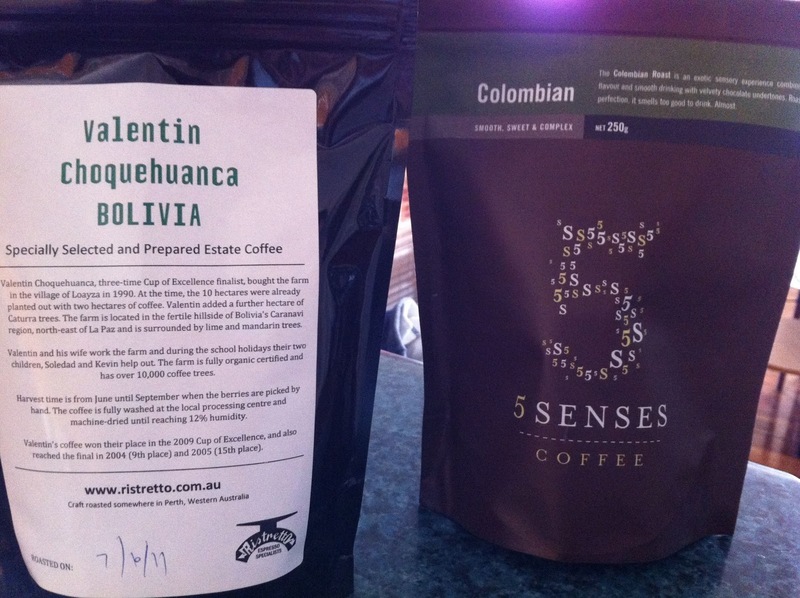 While I am naturally suspicious of the coffee found on supermarket or deli shelves (because you never know how long they've spent there), the 5 Sense Colombian Roast caught my eye, described on the vacuum sealed pack as “Smooth, Sweet & Complex”. This on its own wouldn’t impress me, but what did is that the back of the bag had a date stamp – not of the “expiry date” (which is a misnomer for coffee lovers, since it’s usually a year longer than the 4-6 weeks maximum before all the good flavours start to fall flat), but the date of roasting, which was less than two weeks ago. Now that did impress me! At $12 a pack, it wasn’t cheap, but I decided to take a chance (and had no choice anyway if I was to drink home-made coffee that weekend). Wow, this is a nice coffee! It was indeed smooth and sweet, and perhaps not as complex as the single estate stuff I’ve been spoiling myself with (for example, no bright, citrusy undertones), but still sporting creamy cocoa flavours with hints of caramel. 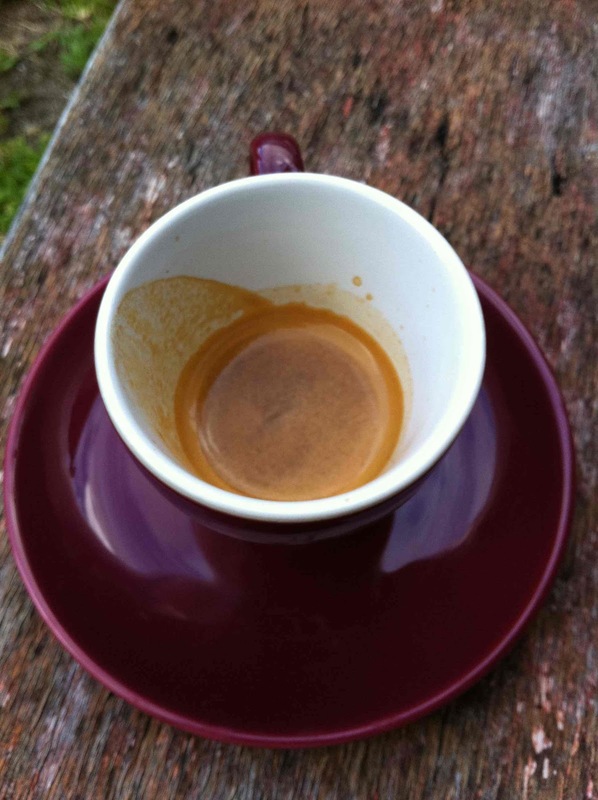 I drank it over the course of two and a half weeks, and the flavours did develop, which is what I love about good coffee. In this case, the cocoa became more pronounced and the flavours more robust as time passed. Now this doesn’t mean that I’m going to stop trying special beans from far flung parts of the world, but it’s certainly no poor cousin. 5 Senses is good stuff indeed. Speaking of exotic beans, just the other day, as I was running out of my bag of 5 Senses, I did manage to make a run into Ristretto in Howard Street and procured myself a bag of freshly roasted stuff from the farm of Valentin Choquehuanca in Bolivia – a 3-time Cup of Excellence finalist. This particular bag o’ beans didn’t make the Cup of Excellence cut-off, but it was still amazing. 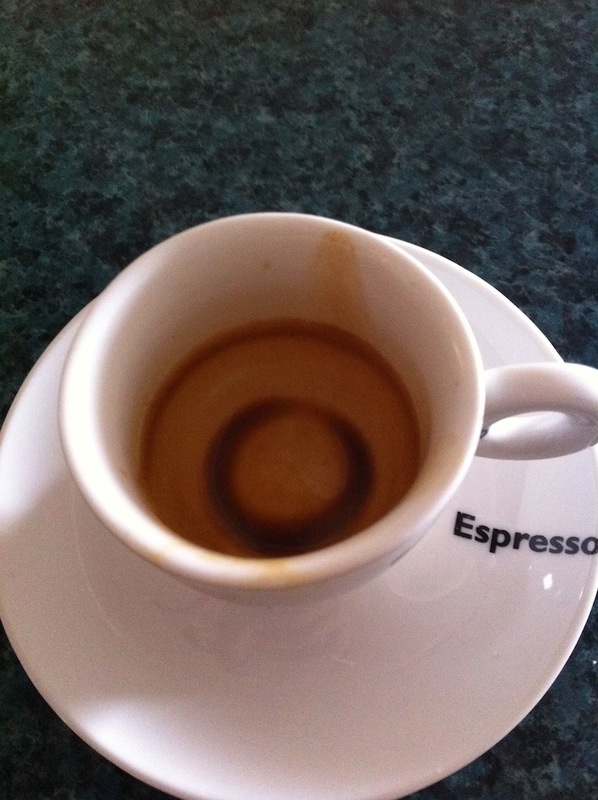 Straight out the gates in a thick, bubbly froth, and it was thick crema in the cup all the way to the bottom Ahhhh. Bright, bold citrus notes, dark chocolate and sweet caramel. And caramel on the nose even at the finish. Wow. Check out the thickness in the picture, complete with rough bubbles showing the freshness of the roast. If you can bag one of these babies at Ristretto, make sure you do! They might already all be gone, but you never know if you never try. And even if it’s sold out, they are sure to have some equally delightful, freshly roasted, single estate treasure to sell you.